Being selected by Virgin.com to be a Guest Blogger! Pretty exciting news for us over here at Cashunt, we have be selected to be a guest blogger on Virgin.com! It is a honor to be selected by such a world wide brand such as Virgin to write certain aspects of business that we would think would help and most importantly inspire members of the public. The postings that we will write for Virgin will apear first on their site and then we will have a direct link from the Cashunt blog site to theirs. Our first posting should be submited sometime within the week and we will give you more information as to when it's released to the public. Gift Certificates for 2011 Games! As always this time of year we always have great promotions when it comes to the upcoming season! So this Holiday Season we will be offering a 10 player package Boston Mad Dash Game for any date in the upcoming year for simply $300 that is a $50 savings from the retail price of $350. A normal ticket price for a Boston Mad Dash Scavenger Hunt competition is $35pp but with this special promotion the ticket price will be $30pp. When you purchase your gift certificate it would be a good idea to let us know a date you have in mind especially if it is a weekend... If you don't, no worries you can let us know at a later time (we would suggest a month prior to the date your looking at) for more information about this promotion you can speak to a game coordinator and we will give you all the details. This promotion ends 12/31/10. For a few years now several people from out of state asked us if we offer "take home games" for those that do not live in the Cashunt cities being Boston, Chicago and NYC. We have thought about it over and over again and the answer is that we will be offereing a condensed version of our live game into a "take home game" that anyone can host. There will be 2 versions of it one that will be a very general version of the game and another will be designed for certain cities around the country and some international cities such as London, Montreal, etc. The price point has not been determined as of yet but it will be a more affordable version from our live games but again a much smaller redesigned game that will be easier to put together. Games such as the Bridal Dash, Birthday Dashunt, Haunted, Holiday Hijinks, Hide N' Seek, etc will not be converted to home games.. The Cashunt Home Game will be available starting 1st Quarter of '11. 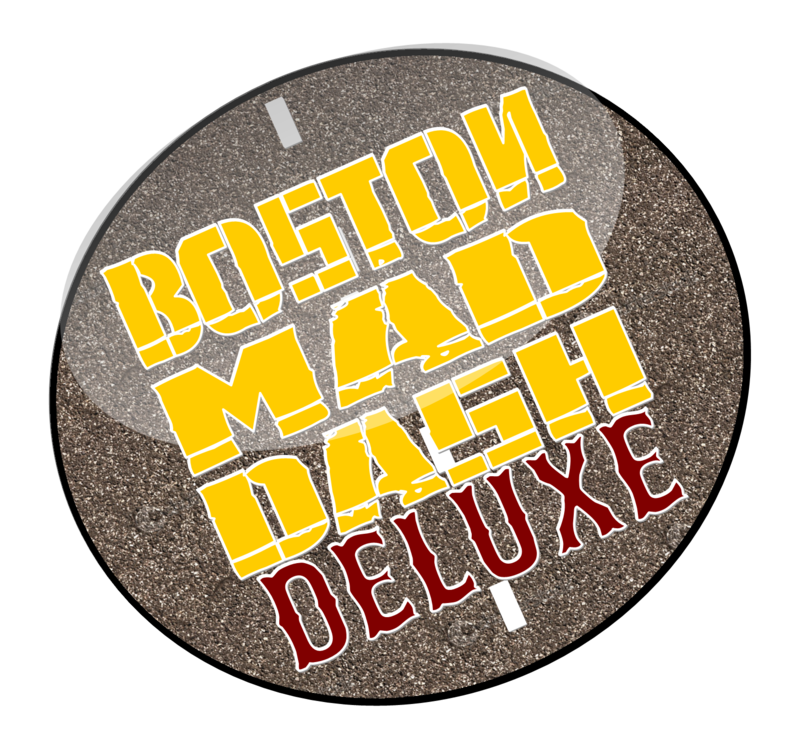 The Boston Mad Dash Deluxe & The Singles Dashunt 2011 Annoucement. As we do every year we introduce a couple of new games for our library and retire some old ones. There will be 5 news games that will be included in the 11th Season of Cashunt. Two that we can announce right now will be The Singles Dashunt and The Boston Mad Dash DELUXE. The ever popular Boston Mad Dash will continue to be offered to the public, but in Deluxe it will be a much bigger game with a bigger playing field (a big chunk of Boston) new challenges and one hour longer (3hrgame). So if you have played the original and want a new challenge I think Deluxe will be perfect. We tested the new version out in October and the reviews have been great..so we honestly do not see anything we need to tweak on Deluxe as ready to go on 3/1/11. 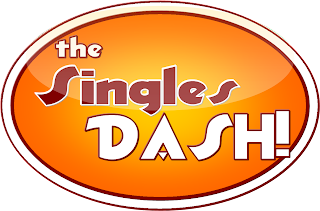 The other game we would like to announce that will be available starting 2/12/11 will be "The Singles Dashunt" this game will be offered once a month and will be geared to singles. We just felt with speed dating, blind dating, etc. this would be a fun and a very easier alternative to meeting new people. By setting the tone of fun competitions we will place our singles into teams as they will need to work together in order to come up victorious with the wacky challenges we have in store for them. In the end they all will receive photos and videos from the event as it is customary with Cashunt and hopefully create new friendships and relationships. As always we are trying to make an old concept new and hip again without feeling awkward and having a lot of good memories and laughs along the way. 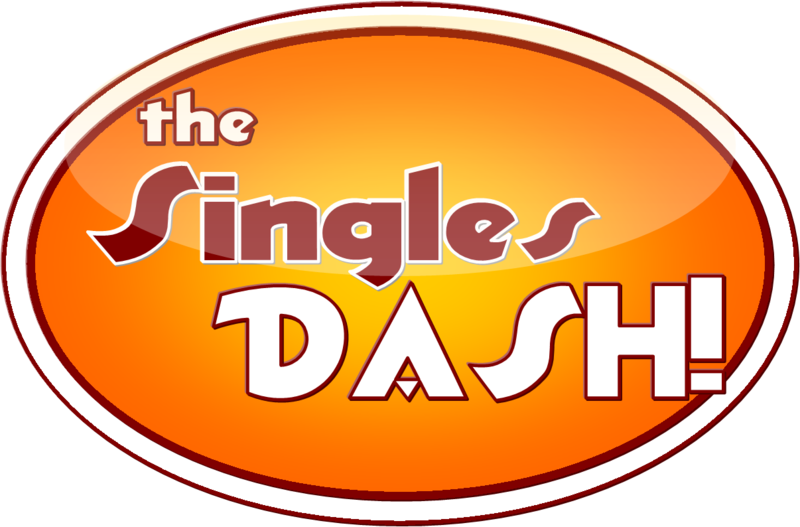 The Singles Dash will start games February 12, 2011 and will be held on the 1st Saturday of each month at 11am. As always with all of our Cashunt games please book your games early.. time slots get filled up really fast, and by booking last minute we are sure we will be sold out. So What's With This $500 T-shirt Collection?!? We have been getting this question a few times after our games ever since we annouced it in early October. What it is is that you will be able to buy a tshirt, sweatshirt, etc between $40 to $60 dollars that the artwork on the front and back of the item will have clues as to where there is $500 hidden somewhere in New England. Now this will be running for 1 month, so when someone finds the envelope containing $500 and take a picture with their special t-shirt on will win that prize. Once a location has been found that location will be closed but there will be other locations that will be alive because each shirt will have a variety of different locations hidden within the artwork. Obviously one prize per player, the beauty of this promortion is that the majority of all the sales will be going to hopefully St. Jude's. The bigger the percentage the better:) We have to finalize that with them and try to make the clothing fun and hip with obviously a purpose:) Some of the preliminary designs look pretty cool that you would never think there would be a hidden message within it :)Shirts will be on sale March 1 to 31st 2011 and the contest will take place that same month as well. So we ask you again would you wear a t-shirt worth $500? Hi there Cashunters! hope all is well and you Fall has started off the right foot! As I write this to all of you, we are about 2 months away from closing our 10th chapter to Cashunt and preparing for our 11th. Every time at this point of the year we start working on what will be in the horizon of the Cashunt universe for the following year, and with that comes reinvention.. The reinvention of our games have been an annual practice and it constantly makes the Cashunt brand new and refreshed. We retire games, create new ones and always update the games in our library because we never want repeat customers to think that have the game all figured out ...when they really don't ;) 2011 or Season 11 as we would like to call it, will have all of these elements in the upcoming year, plus more. The culture of our business is to give our customers/players more and at a fantastic price that they will talking about it to their friends for a long time. It's always a great thing to hear, when a repeat client that had played the game a year ago calls our office to book another game and that they still talk about their game experience to this day...Bingo! That is music to our ears!! So you may ask.. what do we have in store for you? Can't let all of the cat out of the bag just yet..but I can tell you a little :) Some of our anchor games will be reinvented with new bonus rounds and brand new lists to make it even more challenging. We will be offering a "Deluxe" version of our Boston Mad Dash that will cover far more ground with new challenges. Also the southeast might be in play.. Right now that is a very little taste as what to expect in 2011 but there are a couple more announcements that will not be official until the first of the year. That's it for now..I will talk to you all very soon! So earlier this year we had Tara's Tribe break what we thought was an unbreakable record held from the then record holders and current Cashunt Champs Team Jumpstart. Now it happened again.. with one of the most competitive teams that have emerged in our 10 year history and the go by the name Peanut's Posse. These girls came to play and play they did, they played the game using the three words we encourage each team to utilize before each and every game. Delegate ...Improvise ... and use Strategy..and they did and the end result..Peanut's Posse is the current top spot holder for the championship game and also new record holders! Just when you think something can't be broken....think again! This year has been an interesting year to say the least as to how much traffic is coming from Philadelphia to Boston. It seems like every 3rd game we have are people visting from philadelphia as opposed to the typical (NYC Conn, RI, etc) So with that said, every single client that is from philadelphia and has played the game continued to ask us why Cashunt has not visted philadelphia? So hearing it for several times a month we took the liberty and did some research...and the result was perfect. Philadelphia has everything that Cashunt asks for (walking town, history, great props, etc) so we are annoucing as of April 2011 that The Philadelphia Mad Dash will be arriving. Bookings will start as of March 2011, we are really excited that this is taking place and we are pretty surprised we didn't notice it earlier. Thank you people of Philadeliphia! We Became #1 Top Popular Attraction In Boston! Bringin' Sororities Into The Dash! One of the markets we tested last year and it did pretty well was the Sorority market oddly enough. It did pretty well because for the sororities it was an ice breaker for new and continueing members. We of course customized it to fit the organization so it would have a more personal fit to the game. So after a few tweaks we will be presenting The Soroity Dashunt this September! It will be introduced in two different ways one as a Sorority vs Sorority competition which we think is a perfect competition to host and our other will be a me completely customized solely to Soroity so it could be a little educational if the client wants to take it that way. The games as always will be conducted in Boston and bookings will begin in late August. We have become a Boldfacer! Just recently we were the featured profiled on Boston's Boldfacers Online Magazine. It was a great time and we really love the outcome how the expose came out. Hit the link and check it out!! Howdy folks hope all is well!! Just want you to know that starting today and from now on, teams will be able to view and download free of charge all their game photos and videos online!! We think this is a much better way for everyone to experience their game as opposed to just giving out a dvd just to one person. So with that being said sit back enjoy, laugh and share your Cashunt experinces by viewing your zany photos and videos online. PLAYERS TO VIEW PICTURES & VIDEOS ONLINE! Howdy folks i know it has been a long time since our last post but to be honest it has been insanely busy and there is so so much going on that it has been overwhelming! But we are luvin' it to say the least :) Like I said there is a lot going on and we will fill you in with all that information in our next posts in the coming days and weeks we promise. But one thing that we want to make official is a little change coming in the future.... ever since our inception we always handed the client with the pictures from their event. At the begining it was via Poloroid pictures when we were using instant cameras to currently where we are giving the client a dvd containing all the photos and videos from their game. But starting in July we will have all players and clients from their respectful games access their pictures and videos online and it will be password protected. By doing this everyone will have access to their game pictures & videos within 24hrs as opposed to wait for a copy of the DVD that was given to the client. With our research we found out most players never got a chance to view the pictures and videos from their game because one person holds the DVD, now everyone will enjoy them equally. So we think this is a step in the right direction and I am sure everyone will be happy with this post game change. We would like to hear your opinion about this if you think it is indeed a good idea..
Cash Hunt PKG from EIVTV on Vimeo. An Amazing 9th Season Championship! On April 11th we held our 9th Annual Cashunt Championship and I must say I witnessed two of the best teams compete in a very challengeing "Hide N' Seek" competition. The teams in the final were Jumpstart from the jumpstart group and The Mustachios from the Till Group. These two teams during their regular season games did amazing and their energy and competitive nature were unmatched to the 87 other winning teams of the year...so this was a Championship made in heaven! The game that was representing the championship was Cashunt's Hide N' Seek. Hide N' Seek is played in 2 stages where teams are set forth to find multiple envelopes that are hidden around the city that contain different challenges and the come back in the second stage and retrieve another game card that will lead them to 4 more new location of mystery envelopes. Both teams started off in a flash but when the smoke settled Jumpstart came out not only as Cashunt's all time regular season record holders but also as our Cashunt Season 9 Champions! Great competition, great weather , fantastic teams wecouldn't ask for more! Next championship promises to be even better with the newly named Dash Cup 10! Memorial Day Weekend and 4th Games Coming Soon!! Our seasonal games have really picked up some steam as of late... It was totally a test to see if the public would like games that have a little bit of a seasonal theme to it. We had a few older types of games that we introduced a few years ago that had a seasonal theme (holiday hijinks and the haunted dash) but we never thought of other holidays such as St. Patty's day, Easter, 4th of July etc. So this year we figured it would be best to try the those types of events. Thus far the St. Patty's Dash was fantastic and this years Bunny Hunt looks like is gaining it's own popularity with families. I am a huge believer of escapism and competition and I think that is why these games are gaining more and more popularity. When we first started 10 years ago the company was strictly dealing only with bridal parties now it has grown leaps and bounds with everything under the sun especially with families. It's been an amazing first couple of months and we just started our 10th season. Besides being really excited about what we have in store for all players this year, the media keeps knocking on our door. It is a little overwhelming for that to happen all of the sudden and we are greatfull for those that have contacted us and having us share the experience of the game. On top of that without really me knowing anything untill recently we are now ranked 4th best attraction in Boston out of 330!! (as of this blog) on Trip Advisor.com here in Boston. WHAT?!!? how did that happen?!? We must have been doing something right and to us that is the most important thing we could ever ask for and we thank all of you that have made that happen! One thing we always believe is give our players the very best product, amazing customer service, at a fantastic price and constantly listen to our players. With that all rolled into one it's a no-brainer. Twitter is the place to get up to the minute Cashunt News! So we hope all is well with all of you! Our 10th season has finally kicked in 4 weeks ago and so far everything has been fantastic! Already people have tried our newer games "Twithunt and The Gold Rush" which is great in it self because newer games don't really get that much traffic until later in the season. So far so good Cashunters! Obviously with the age of social media we are constantly trying to stay in touch with old, current, and future Cashunters telling you all the latest in this crazy world that is Cashunt! But the most effective way we bring the latest news before it even hits this blog is through Twitter. With that said join our Twitter fan list to recieve all the latest and cashunt promotions we have during the year! log onto www.twitter.com/cashunt and as always check back here for more detailed information on that news! We hope you all had a fantastic holiday season this past month and we want to wish you a Happy and Healthy New Year! Well, here we go...Season 10 is around the corner and when I mean that I mean in two weeks!!! We are starting our season well ahead of schedule and we are ready to GO! This season is the 10 Anniversary of Cashunt and this year promises to be the best to date! We have 5 new games added to our family and we will have a newer division of indoor games coming later in the year. As always we retweak our current games to always give them a fresher feel for those that tend to regame with us and for our new Cashunters. Also our new website is up, so please check it out..www.cashunt.com. Our **Championship game will be done at the end of the year as always. The only thing with the championship that will be different is that it will not be the top 4 teams that will enter it will be the top 3 and it will have a new name "The Dash Cup". So with that said... come and take a peak at what we have in store, and as always if you have any questions please feel free and call us!